This product is no longer available, contact us to discuss your application. Accepta 2570 is a high performance, foaming chlorinated silicated detergent scientifically formulated for the cleaning of dairies and other food processing facilities. Accepta 2570 comprises a concentrated blend of silicates, phosphates, anionic surfactants and sodium hypochlorite detergents. This highly effective chlorinated alkaline detergent is safe for use with soft metal and is tolerant to hard water systems. 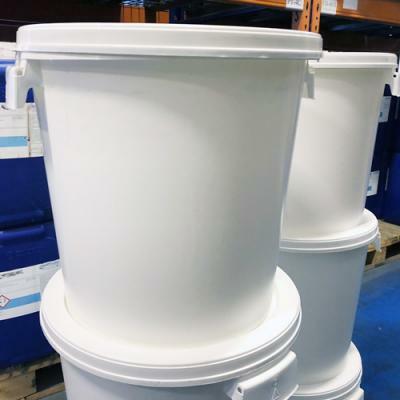 Accepta 2570 is foaming, essential for ensuring contact with all butter making surfaces, and contains excellent removal properties for protein, fat and grease. Accepta 2570, formulated with a silicate to ensure the ‘slip’ required for butter making, is an excellent all round product for CIP (Cleaning in Place) and manual cleaning of butter making equipment. 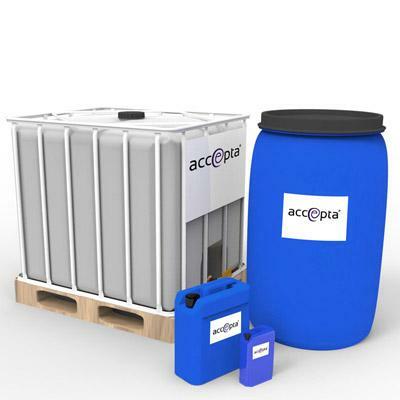 The general dosing rate for Accepta 2570 is 1 – 2% w/w (0.8 -1.6 v/v) at 50 oC for 30 – 45 minutes. It is essential to ensure that all surfaces are thoroughly rinsed after cleaning. On site test should be carried out using an Accepta alkalinity drop test method. Laboratory testing, titrate using 0.1 M hydrochloric acid using a phenolphthalein indicator. For further technical assistance concerning Accepta 2570 please contact Accepta.